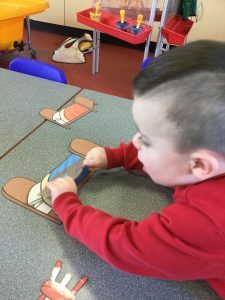 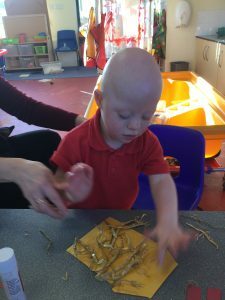 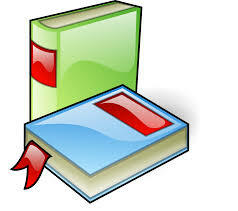 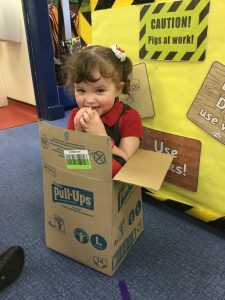 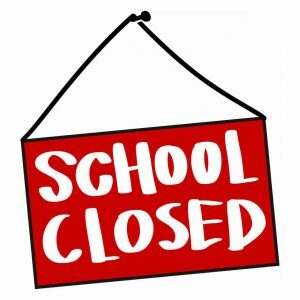 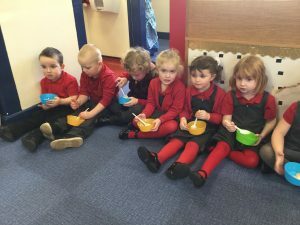 In Nursery we have been reading lots of fairy tales this half term and have done lots of exciting activities. 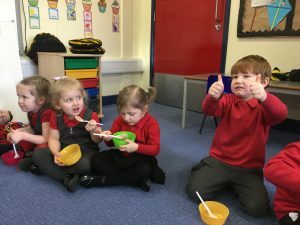 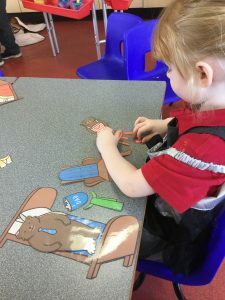 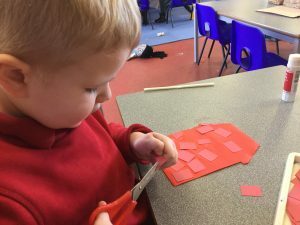 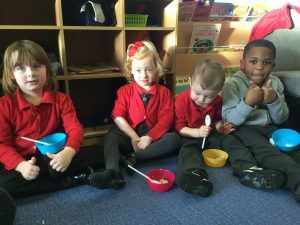 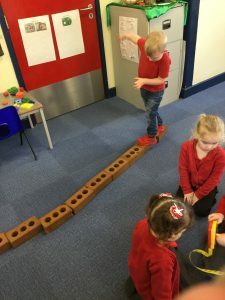 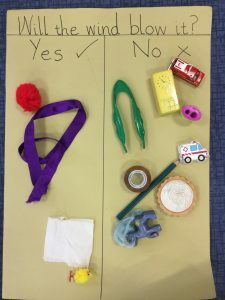 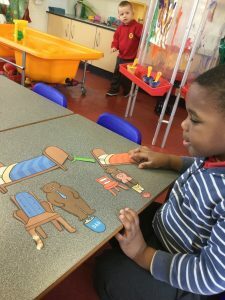 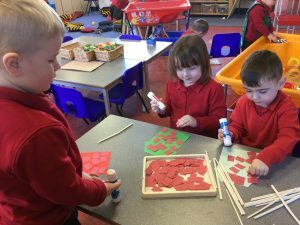 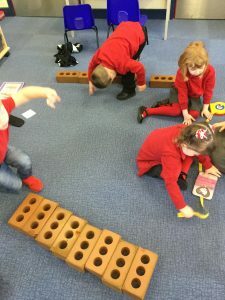 We have looked at big things and little things when looking at the story of Goldilocks and the Three Bears and decided which items belonged to which bear. 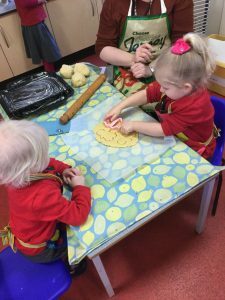 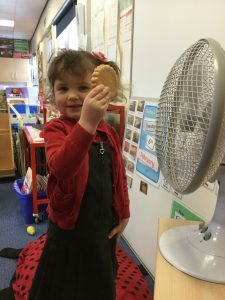 Olivia and Nicole helped to make some delicious Goldilocks biscuits. 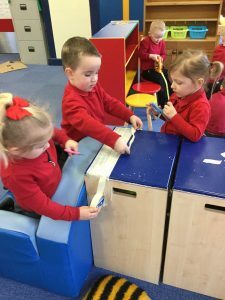 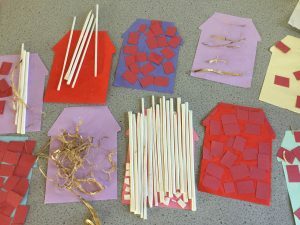 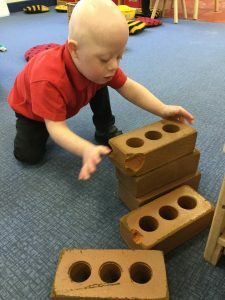 We all made the Three Little Pigs’ houses using either straw, sticks or bricks. 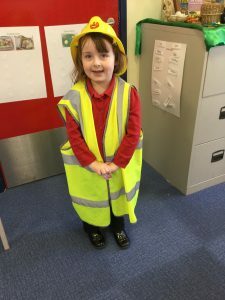 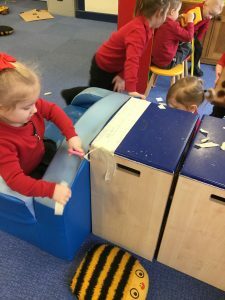 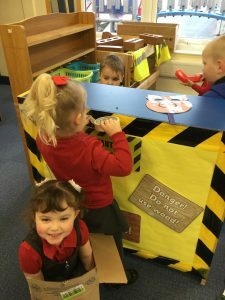 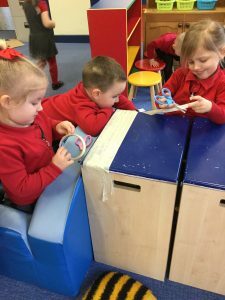 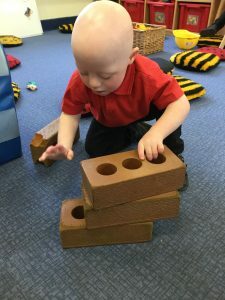 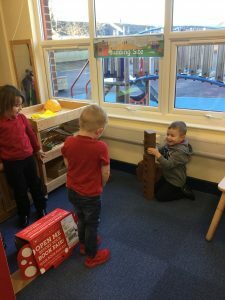 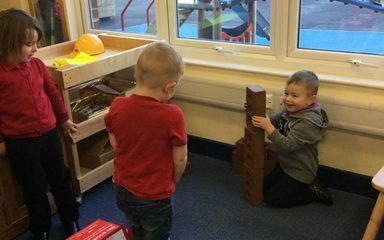 There was a construction site in the classroom so there was a lot of building work going on, it’s a good job we had hard hats and hi-vis vests to keep us safe! 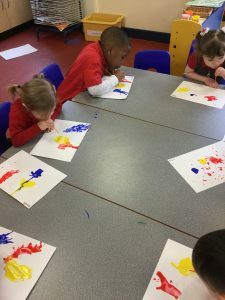 We also huffed and puffed like the Big Bad Wolf to blow paint across our paper. 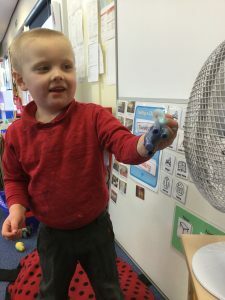 It was interesting to see what happened when the different coloured paints mixed together. 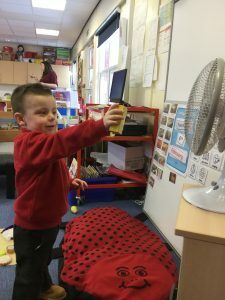 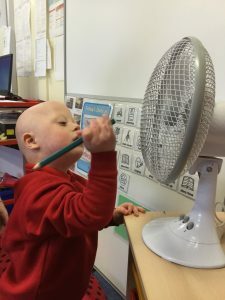 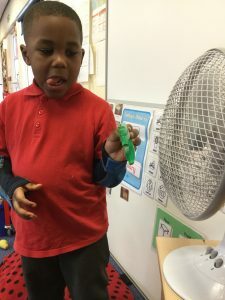 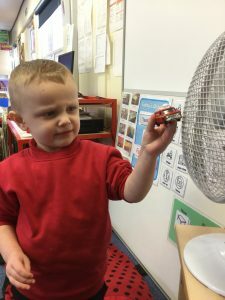 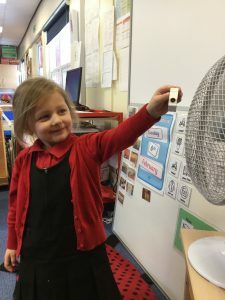 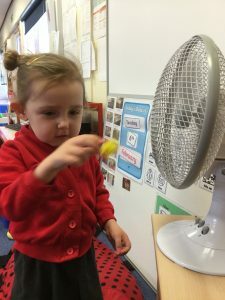 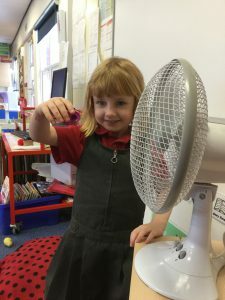 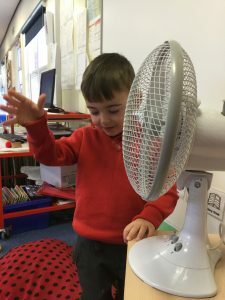 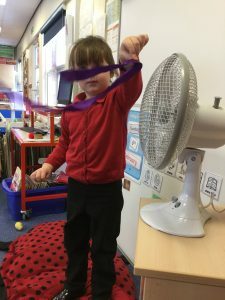 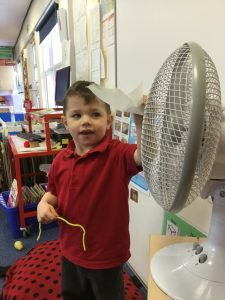 All of the children also became scientists and carried out an experiment to find out which objects will blow in the wind and which ones won’t. 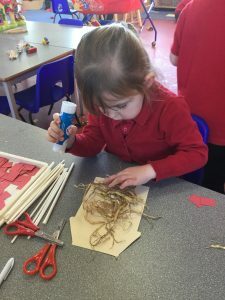 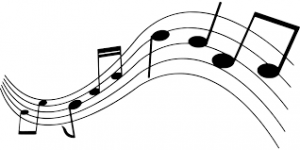 We have been super busy!